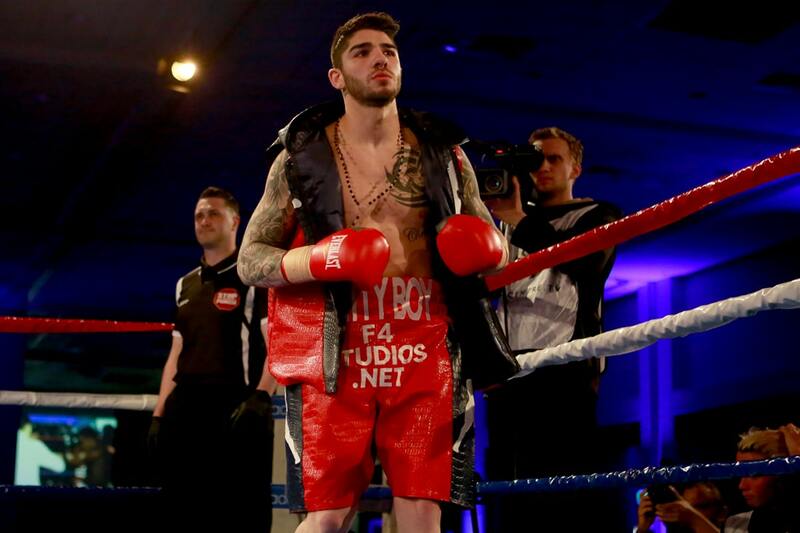 WBA number 15 ranked junior middleweight Michael ‘Pretty Boy’ Zerafa 24-2 (13) has his sights set on a match-up with WBO number one contender Dennis ‘Hurricane’ Hogan 27-1-1- (7) before the end of the year after knocking out Colombian puncher Jose Agustin Feria 23-7-1 (15) in three rounds at the Croatian Club in Footscray, Melbourne on Friday night. Speaking to Maxboxing.com before the fight, the 26-year-old from outer-northern Melbourne suburb of Craigieburn outlined his plans to fight the 33-year-old Brisbane-based Irishman on the undercard of the proposed Jeff Horn versus Anthony Mundine bout later this year. “I’d really like to fight Dennis Hogan on the Horn-Mundine card,” said the reigning Commonwealth 154-pound champion Zerafa. “We’re sitting at number one in Australia now and we feel like anyone else is a backward step. The only one who has the credentials in my division is Dennis Hogan. But Hogan’s promoter Paul Keegan of DDP Sports dismissed the challenge, questioning the value of such a fight when Zerafa isn’t ranked by the WBO. “Unfortunately for Zerafa he is not even on Dennis’s radar,” said Keegan. “I would say Michael needs to look a bit closer to home if he is chasing a big domestic fight, maybe a Dwight Richie or IBF number 13 Jamie Weetch, who are closer to Michael than Dennis is. “We as a team have heavily invested in moving Dennis along to get him to WBO number one by bringing his last two opponents to Brisbane for big shows. Bringing the world number seven then the world number three to Australia isn’t cheap, but we know it will pay off in the long-term. With the Hogan fight unlikely to happen, Zerafa says he would happily lock horns with undefeated WBA and IBF champion Jarrett Hurd 22-0 (15). “There’s a lot of holes in Jarrett Hurd’s style and when there’s too many holes, the ship sinks,” said Zerafa. “He’s a big dude, he’s tall, but I feel he doesn’t know how to use his range, he’s chin’s up in the air and there’s a lot of bad things he does. “With the right fight plan, which I believe I have now, and the right sparring, I believe I can go there with the right mindset and upset him really, really badly.